Eyeshadow can be tricky sometimes. With the numerous finishes and multitude of textures out there in the beautyspehere even a beauty junkie like myself can get a little overwhelmed. From Tom Ford to Wet & Wild, I thought I tried almost every luxury, mid-range and affordable eyeshadow on the market. Clearly, I had not. After hearing a ton of buzz on Instagram and the YouTube beauty community I decided to place my first Colourpop Cosmetics order. Through this new brand discovery I found an eyeshadow formula that I just can’t seem to put down and therefore need to share this amazing budget-friendly buy with all of you. 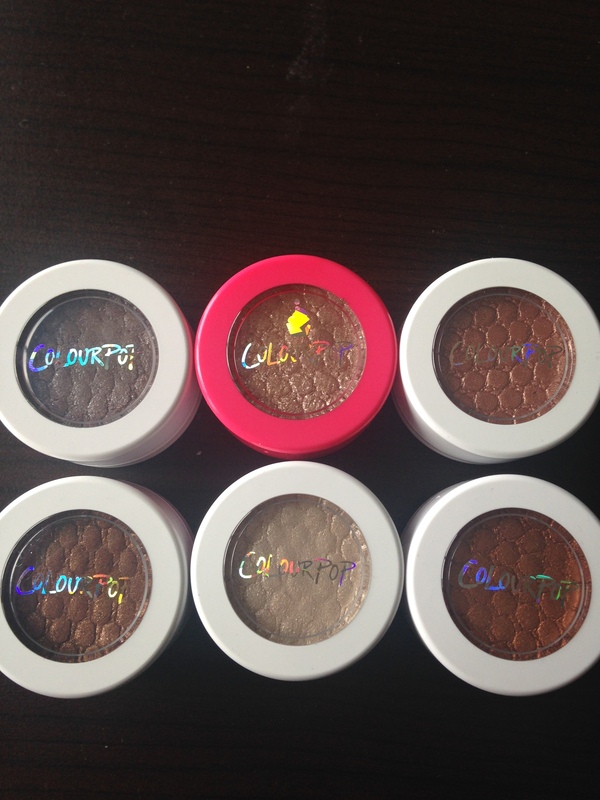 To put this simply, EVERYONE NEEDS TO TRY COLOURPOP COSMETICS SUPER SHOCK SHADOWS. No, this is not sponsored. Quite frankly they don’t even know I exist. For five dollars a pop (haha. get it?) you get the most interesting texture, beautifully pigmented and unique colors I’ve ever seen. Since my first order I’ve tried a bunch & can guarantee you’ll love them. The Packaging: Each eyeshadow comes in a white plastic pot with a clear screw-off lid. The Colourpop logo is printed on the top of the lid in pretty holographic writing. This makes it super easy for you to see the specific color of the eyeshadow. If you choose to store them facing down, the shade name is on the bottom of the pot along with the finish. I definitely appreciate this and I’m sure a lot of you will too. The packaging is pretty standard, but makes the most sense for the super unique formula. We will get to that later. I personally think the packaging is practical, simple and cute. Just make sure the lid is screwed on tight after each use. You don’t want any air to peep through and alter the texture of your shadows. 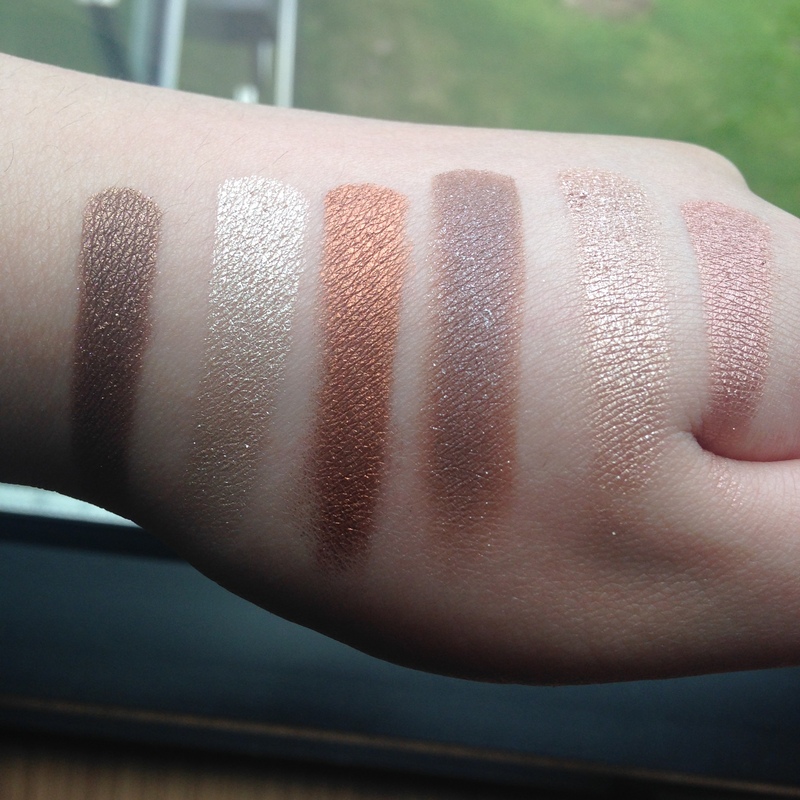 The Formula: I’ve never tried an eyeshadow formula quite like this one. Colourpop describes the texture as “a long-wearing creme powder,”. So basically, it’s a cross between a powder and a cream which equals a truly unusual texture. It feels almost bouncy to the touch. Similar to the Maybelline dream bouncy blushes that came out a couple of years back (LOVEEE THOSE). Depending on the opacity you desire and the finish you choose I’d say these babies work best when applied with your fingers for a more opaque look or a synthetic brush if you’d like a more diffused look on the lids. The Colors and The Finishes: If it’s one thing that the brand does best it’s creating the most unique & pigmented shades in a variety of fun finishes. The Super Shock Shadows come in almost 100 different colors ranging from your everyday neutrals to eye-catching metallics to soft pastels. Along with the impressive color selection the brand offers seven different finishes: satin, matte, metallic, ultra-metallic, pearlized, a pressed pigment and sheer opal (the latest addition). My personal favorite colors are of the neutral variety (duhhh). I adore the metallic and pearlized finishes. They’re super creaaaamy and blend beautifully on the lids with minimal effort. I also find that they work well with eyeshadows in different formulas from other brands. I really appreciate this perk of the Colourpop eyeshadows because it allows me to use one of the brand’s striking metallic shades all over my lid and then pop one of my favorite matte shadows in the crease for some added depth and definition. Another plus is that there is almost no creasing after eight hours of wear! I do always use an eyeshadow primer so I can’t vouch for whether or not they crease on their own. I suggest wearing a primer underneath to be on the safe side. Are you interested in trying these amazing affordable eyeshadows or some of the brands other stellar products? Head to colourpop.com to check them out for yourself. If you have tried the brand, have any recommendations for me or are interested in trying them out let me know your thoughts in the comments below! Based on your recommendation placing an order right now!! !